“Super foods.” You may have heard the term. Marketing campaigns and big food companies throw the phrase around all too often. However, if you are looking for one of nature’s true “super foods,” look no further than the avocado. Today, we’re going to discuss why adding avocado into your diet will not only boost your intake of omega-3’s, fiber and essential vitamins and minerals, but will also aid digestion, absorption of nutrients, and can help prevent cancer! Getting healthy never tasted so good! Avocado nutrition has been the focus of a great deal of research. Doctors, nutritionists and health gurus are consistently touting the benefits of eating avocados, but why? Avocados are loaded with good fats, known as omega-3 fatty acids. About 85% of the avocado’s calories come from fat. 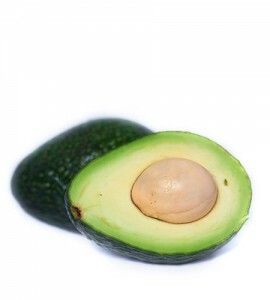 Avocados also have a higher percentage of protein than other fruits while maintaining lower levels of sugar. According to the New York University Langone Medical Center, avocados are high in magnesium, phosphorus, iron and potassium, containing even more potassium per gram than bananas. San Diego-based nutritionist Laura Flores notes that avocados are packed with many essential vitamins and minerals. They are a good source of pantothenic acid (vitamin B5), vitamin K and fiber, which improves digestion and can help maintain regularity. Lower Body Weight – A study published in the Nutrition Journal found that people who ate avocados regularly were more likely to have a healthier body mass index (BMI), smaller waist circumference and lower body weight than those who did not consume avocados. Future Moms – According to the California Avocado Commission, avocados are excellent for moms-to-be. This might fruit has a significant amount of folic acid, which aids in the prevention of birth defects like spina bifida and neural tube defects. Improved Cholesterol – The journal Archives of Medical Research found that patients with mild hypercholesterolemia (high cholesterol) who added avocados into their diet for one week had a 22 percent decrease in bad cholesterol and triglycerides and an 11 percent increase in good cholesterol. That’s just for one week! With more people than ever searching for nutrition advice and tips, there’s no better place to start than the avocado! Packed with vital nutrition and health benefits, it’s an easy (and tasty!) way to improve your diet!